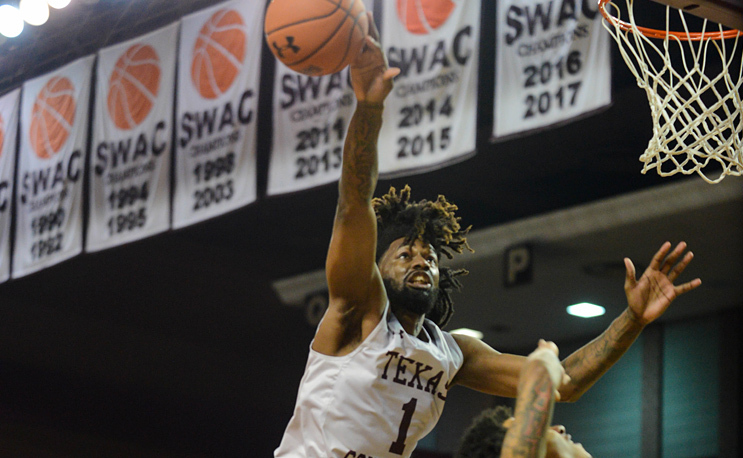 Texas Southern hits Prairie View with the big payback, handing its rival the first SWAC loss of the season. It has now won four in a row. Texas Southern is starting to look like Texas Southern again. The two-time defending SWAC champs completed an epic comeback for a 95-90 win over Prairie View. The loss was the first in the SWAC of the season for PVAMU, coming at the hands of its nearby rival. Jeremy Combs had a huge night, putting up 22 points, grabbing 14 rebounds and adding four steals in the win as TxSo came back from a deficit that reached 21 with 13:46 remaining in the game. Six Tigers scored in double-figures, with Tyrik Armstrong added 19. DeVonte Patterson led the Panthers with 21 points and Chancellor Ellis added 20. The win was the fourth consecutive for TxSo, who brought its record to 7-3 in the SWAC. They still remain two games behind the Panthers, who are now 9-1, but with a month left before the SWAC Tournament, there’s still a long what to go.